See Our Selection Of Drinks. Browse our daytime lunch offers. Japanese Sake, Plum Liqueur, a selection of carefully selected wines from around the world and Champagne. 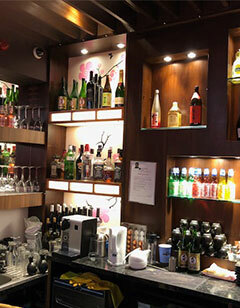 We have a great range of drinks to compliment your dining experience at Ten Ichi. A versatile and well-balanced every day Japanese sake. Ideal for anybody new to the world of sake, Ozeki sake is a dry and slightly delicate junmai sake (make purely from polished rice without any additional brewer’s alcohol) with a full-bodied flavour and well-balanced flavour. Try this sake both chilled and gently warmed to 40-45 degrees, and see how the flavour differs. Food Pairing: Try this Japanese sake with sushi and sashimi, as well as with tempura, pickles, barbecued meats and other umami-rich foods. It is an aromatic grape that, when turned into wine, can be distinguished for its “uncommon” yet typical aromas. Harvest: harvested by hand on the second ten days of September. Merlot finds a wonderful expression both young and after a natural aeging, bringing great pleasure to our tables. From the mandolari bosco, tondin, lacosta vineyards on the scriani estate. Full-bodied and savoury with attractive with juicy black cherry and plum notes and some dark chocolate. Not as heavy as a typical Amarone but juicy and delicious and certainly full-bodied. Pair with prime rib. Our Prosecco doc, extra dry comes from the Treviso territory. Since 1743 Moët & Chandon has been the world’s most loved champagne. With a perfect balance of Pinot Noir, Chardonnay and Pinot Meunier, Moët Impérial Brut offers a bright fruitiness, a seductive palate and an elegant maturity, revealing aromas of pear, citrus and brioche. We offer most well known spirits Jack Deniels, Courvoisier VSOP, Southern Comfort, Gordons, Malibu, Bailieys, Smirnoff, Diseranno and a few more. 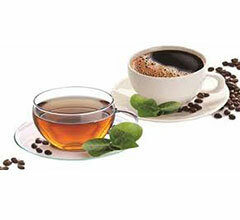 We serve the best tea and coffee in Birmingham so let us know how you like it and we can make it. We offer most well known branded soft drinks, Coca Cola, Diet Coke, Sprite, Fanta and a few local Japanese soft drinks.